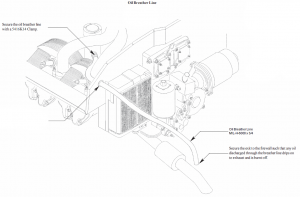 Did You Know Your Crankcase Breathes? If you're flying a piston-powered Lancair your engine is equipped with a "breather," or crankcase pressure relief system, to vent combustion gasses and water vapor that leak past the piston/piston rings. This is a very basic system, but its correct function is critical to operation of the engine. When your engine is new, the "blow-by" leakage from around the pistons/rings is relatively minimal, but as the engine wears, it allows more and more leakage. On its way through the crankcase, this hot gas picks up oil and carries it out the crankcase breather, where it gets sprayed on the bottom of your clean, beautiful airplane. The Lancair Legacy builder's manual (graphic below) recommends plumbing the vent tube to empty on the hot exhaust to limit the residue, but many are unsatisfied with the results. Ingenious home builders, and even engine manufacturers, have devised several ways to eliminate this problem. Unfortunately none of them work completely. They do help however, while creating problems of their own. One big gotcha to watch out for in the IV series airplanes is the engine breather line plumbing into the exhaust stack (Lancair recommended). This works well to eliminate the oil from running out the breather hose and onto the bottom of the airplane. Unfortunately, the hot exhaust turns the small amount of engine oil and water vapor into some kind of deposit that is almost (but not quite completely) impossible to remove from the paint near the tail. Most of us prefer this to an oily bottom and have installed this feature on our airplanes. 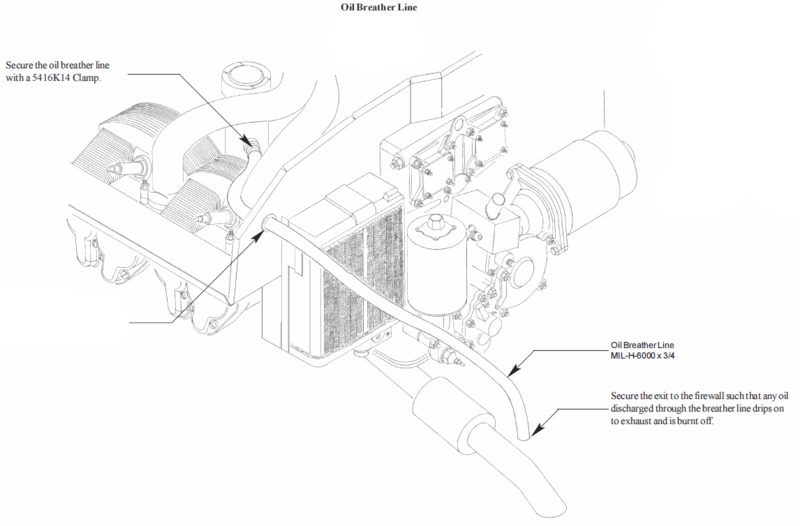 The problem arises as the amount of oil exiting through the breather increases with engine age. As the oil flow increases, it starts to carbonize inside the hot exhaust, and more significantly, where the breather line attaches to the exhaust stack. This carbon deposit will eventually close the vent path, increasing internal crankcase pressure to the point that the gasses will find an alternative way out—usually by blowing out the front crankshaft seal, or sometimes the oil pan gasket. Most of these "alternate vents" will dump the engine oil overboard very rapidly. If it's the crank seal that goes, you'll get oil on the windshield right away—a lot. Other leaks will dump the oil out the lower cowling, making the oil pressure, or perhaps the oil temperature if you're really alert, the first indication of a serious problem. 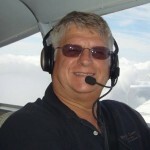 For questions/comments contact Bob at r.pastusek [at] lancairowners.com.